Two weeks ago I started following a 30 Day Autoimmune Protocol published by a famous Dr. (Not Oz). It did pretty well, but I still had at least 3-4 histamine episodes during that time. It is really true that certain fish/shellfish can trigger a histamine reaction. It is really true that certain spices can trigger a histamine reaction. 1. There are 1001 things you can do with cauliflower. You can make it look like rice. You can make it into crust. You can make it into bread. Etc. 2. You really can have a balanced diet (fat, carbs, protein) eating Paleo. 3. You can make a lot of dishes with sweet potatoes and onions. 4. You can scramble a wide variety of foods together for a quick meal. So, from here I am tweaking my Autoimmune diet to be mostly low histamine, quick, and fresh. Whole chickens can be cooked ahead and the meat frozen. Turkey and beef can be browned or made into patties and cooked (also frozen right away to prevent a histamine reaction later). A wide variety of vegetables can be sautéed, roasted, and steamed. Throw a little green leafy in there, and you have a meal. Idea: bake a chicken breast in the morning and eat on it all day. 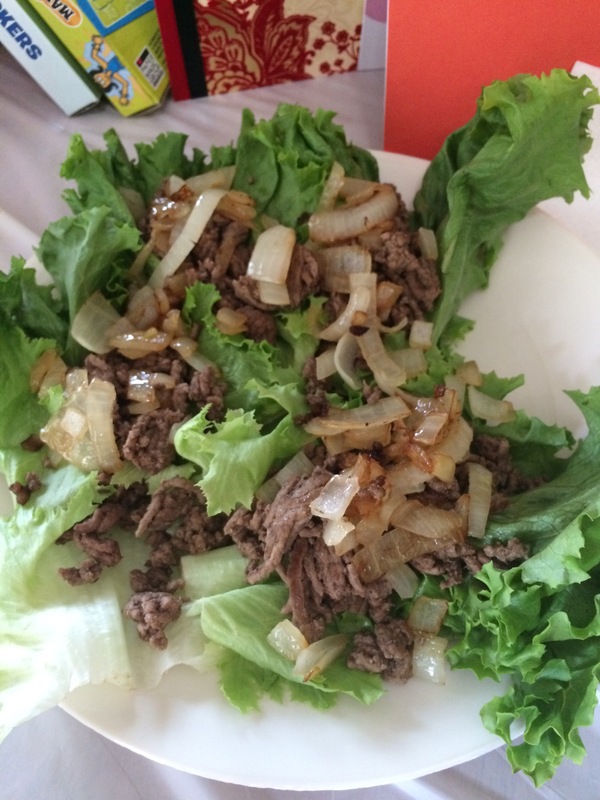 Browned ground beef (seasoned with salt, pepper, and garlic powder) and sautéed onions (in coconut oil) on slices of romaine. Easy.